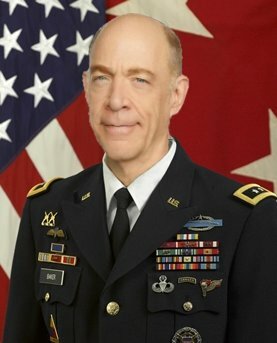 Major General “Skullcrusher” Shaw, Director of the United Nations Paranormal and Supernatural Interdiction Directorate has been found dead this morning. The general’s cause of death is not known at this time, he was 55 and in good health. General Shaw held a variety of assignments upon graduation from West Point military academy including the U.S. Army Rangers and served in Grenada, Panama and in The Gulf War. In 1992 then Captain Shaw was appointed to UNETIDA where he commanded a training company before transferring to UNPASID. Upon promotion to Major he was assigned as Chief of Security for the Central Demon Containment Facility in Antarctica and later commander of the elite Paranormal Threat Response Unit - Gamma based in Europe. From 2001 to 2003 then Lieutenant Colonel Shaw served as the Military Assistant to the UN High Commissioner for Paranormal Affairs. Later as commander of Counter Zombie Strike Team One in 2004, then Colonel Shaw prevented an outbreak at a secret medical research facility in South Korea. In 2007, then Brigadier General Shaw was assigned as Chief of Staff and later Assistant Director of UNPASID. He assumed position as Director in January 2010. Shaw’s awards include the Defense Superior Service Medal, Legion of Merit with combat distinguishing device, Bronze Star with combat distinguishing device and two oak leaf clusters, Combat Infantryman’s Badge, Master Parachutists Badge and Ranger Tab. He is survived by his wife Cathy a metallurgist and twin sons Jason and Josh both cadets at West Point. Alberto Hov DiWafnae the UN High Commissioner for Paranormal Affairs expressed his deep sadness at the tragic loss of General Shaw. “Great sadness is upon me this day to find that my trusted friend, the crusher of many bones and skulls is gone from us. He was a slayer of demons and a ghost-buster, not like in movie but of vengeance,” said DiWafnae. The UNHCPA said that this has been a tragic few days for UNPASID noting the passing of Colonel “Svarog” Tarasov in a road traffic accident and the apparent suicide of Major “Ghast” Giordano yesterday. It is understood that UNPASID Assistant Director / Director of Personnel Brigadier “Walrus” Jones, will act as Director until a permanent appointment can be made.